Early in my career, a young girl who had been completely non-verbal following a traumatic event came into my office. I wasn't sure what to do, so we silently played with pipe cleaners. The next day her mother called to tell me her daughter smiled after our session. It was her first smile in 6 months. Once I saw how powerful play, connection and touch can be in healing trauma, I knew I needed to learn more. I became a Registered Play Therapist-Supervisor and received specialized training for working with kids and complex trauma. By incorporating play into our trauma treatment models, we give words to the voiceless and power to the powerless. When you integrate play therapy with the core components of the leading evidence-based trauma treatments like EMDR, Trauma Focused CBT, and more, you can unlock a powerful approach that can help your clients achieve lasting results. Let me teach you the tools, strategies and techniques you need to effortlessly blend play into your clinical practice. 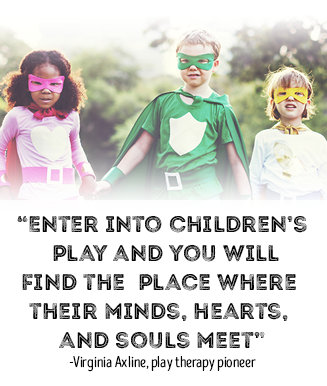 Join me today for my comprehensive certificate course, and I'll show you step-by-step how you can help heal unspeakable heartache and offer your clients hope through the power of play. Get started below with your Certificate in Trauma Treatment for Children & Adolescents. Earn up to 15.25 CPD Hours — included in the course tuition! become a CPD Certified Child and Adolescent Trauma Professional. 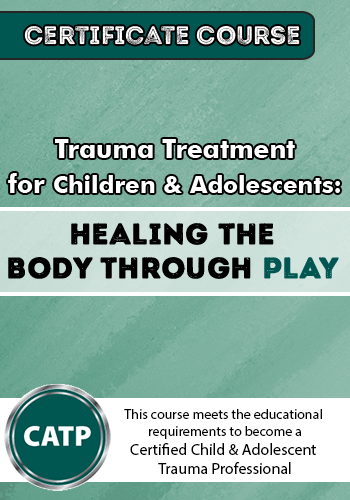 This comprehensive certificate provides the foundation of skills you need to successfully integrate play therapy with the leading evidence-based trauma treatment models. You'll begin by taking a deep dive into the treatment of trauma followed by an important view of the ethics of touch in therapy. You'll end the training confident in your ability to implement play-based trauma interventions in a fun, engaging, safe and appropriate manner. Through 9 video lessons, Dr. Jennifer Lefebre will provide you the step-by-step guidance you need to make it easier for the children in your practice to process trauma. You'll begin Module 1 by exploring the neuroscience of childhood trauma and trauma theory. You'll then build on the foundations of trauma with a deep dive into assessment tools and strategies for complex trauma, post-traumatic stress disorder, reactive attachment disorder and more. Finally, you'll learn how to effortlessly use play therapy techniques into your daily practice. Together, you'll explore how to use sandtrays, drawings, embodied play and more to target shame, self-doubt, indiscriminate attachments, and interpersonal reactivity. 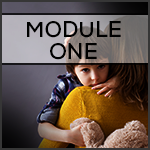 By the end of Module 1, you will understand how to develop a treatment plan that establishes safety, increases self-compassion, improves emotional and bodily regulation, and advances your trauma treatment. What if that simple caring hug you gave a child in a therapy session somehow triggered a report to your licensing board? Do you know what to do when a child hits you during a session? What about when a child tries to touch you inappropriately? In Module 2, Dr. Janet Courtney explores these ethical considerations of touch, including current research, cultural concerns, and the importance of touch to human development. You'll see in-the-moment interventions and case examples that deal with issues related to attachment, autism, ADHD, Sensory processing disorder, and physical and sexual abuse. Adapt the program. Whether you have 20 minutes or an hour, work in a school setting, have your own therapy room, or practice in-home therapy, you'll learn tips and tricks to make play therapy work for you. Integrate a holistic approach. With play therapy, you can get to the heart of the problem and improve behaviors such as aggression, defiance, emotional instability, and more, without the use of medication. Improve compliance. Play therapy homework is fun. And when your clients and their families integrate the easy and engaging activities you'll learn in this course at home, you'll meet your clinical goals faster. Incorporate families. Unlike other modalities, play therapy is easy to do with families. You'll learn simple ways to adapt the tools and strategies you use one-on-one with your client to also include families — so you can help build stronger, healthier relationships. Are you ready to step into the life awaiting you as a Certified Child and Adolescent Trauma Professional? Get Certified and Go Further... Become a Certified Child and Adolescent Trauma Professional and show your employer, clients, potential clients and fellow professionals your commitment to honing your skills and staying up to date on trauma treatment best-practices. Get the "tricks of the trade" of play therapy through useful, creative interventions that will enhance your understanding of mental health issues, risk factors, and the impact of the parent-child relationship within each disorder you treat. Your free membership provides you exclusive discounts and benefits, including a copy of the IATP: Trauma Therapist Toolkit: 2nd Edition, which is filled with hundreds of professional resources to help you improve your clinical outcomes. Your membership to the IATP also showcases your dedication to improving therapeutic outcomes to your clients, your employer and your surrounding community. 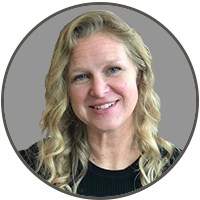 Jennifer Lefebre, Psy.D., RPT-S, is a clinical supervisor and EMDR consult facilitator at the Trauma Center. She completed her doctoral degree in Clinical Psychology from the University of Hartford in 2006. She is a Registered Play Therapist – Supervisor, and has received specialized training in Attachment, Regulation and Competency (ARC), Sensory Motor Arousal Regulation Therapy (SMART), Trauma Sensitive Yoga (TC-TSY), Trauma-focused Cognitive Behavioral Therapy (TF-CBT), Theraplay, and Parent Child Interaction Therapy (PCIT-A). She is working toward becoming an EMDRIA-approved consultant, and is an EMDR (Level II) clinician. Additionally, she is an Infant and Early Childhood Mental Health Consultant. Dr. Lefebre’s clinical and research interests center on the assessment and treatment of children, adolescents, adults and families whose lives have been impacted by complex trauma. She has experience working with young children (0-5), adult survivors of severe childhood abuse and neglect, and combat veterans with PTSD. She has worked in residential treatment, psychiatric inpatient and community mental health settings, and schools, and has taught at both the undergraduate and graduate level. She has provided trainings around the country integrating play therapy and evidence-based trauma practices. Speaker Disclosures: Financial: Jennifer Lefebre is in private practice. She receives a speaking honorarium from PESI, Inc. 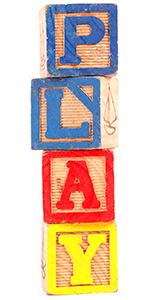 Non-financial: Jennifer Lefebre is a member of the Association of Play Therapy. 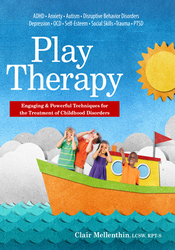 Janet A. Courtney, PhD, LCSW, RPT-S, is founder of FirstPlay Therapy® and an adjunct professor at Barry University School of Social Work, Miami Shores, FL. She is a Registered Play Therapy-Supervisor, TEDx speaker, chair of the Ethics and Practice committee through the Association for Play Therapy, and past president of the Florida Association for Play Therapy. Dr. Courtney is author and co-editor of the groundbreaking 2017 book, Touch in Child Counseling and Play Therapy: An Ethical and Clinical Guide. Her research into touch is published in the International Journal of Play Therapy, and the American Journal of Art Therapy. She is also published in the Journal of Therapeutic Horticulture and is a contributing author for the chapter, "Touching Autism through Developmental Play Therapy" in the book Play-based Interventions for Children and Adolescents with Autism Spectrum Disorders. She offers a certification in FirstPlay Therapy® (including FirstPlay® Infant Massage Storytelling). She has been invited to speak nationally and internationally including the Cayman Islands, England, Ireland, Morocco, Russia and the Ukraine. She specializes in infant play therapy/infant mental health, attachment, and trauma related issues. 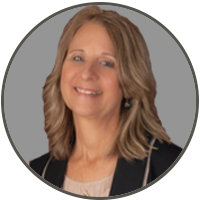 Speaker Disclosures: Financial: Janet Courtney is founder of FirstPlay™ Therapy. She is in private practice and an adjunct professor at Barry University. Dr. Courtney receives a speaking honorarium from PESI, Inc. Non-financial: Janet Courtney is a member of the National Association of Social Workers. Created for professionals who work with children, including counselors, social workers, psychologists, marriage and family therapists, play therapists, speech-language pathologists, occupational therapist, and more, the education provided in this intensive online training is designed to breathe new life into your clinical treatment plans. This interactive online CPD certificate training also offers you a community of peers and mentors all focused on helping children and families succeed. 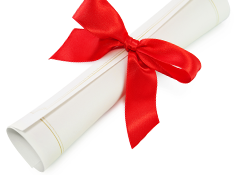 Your CPD certificate not only showcases your personal and professional accomplishment, it distinguishes you from your peers and shows your clients, your colleagues, and employer your continued dedication to improving therapeutic outcomes. Earning your CPD certificate also makes you eligible to become a Certified Child and Adolescent Trauma Professional (CATP) through the International Association of Trauma Professionals. Learn more about certification here. Watch your email for your order confirmation, and get instant access to the comprehensive training plus the FREE Bonuses — all designed to help you effectively integrate proven treatment strategies into your practice. Review all the course materials at your own pace and at your convenience! Click here for course objectives and outline. Instantly collaborate with other professionals on the course materials through interactive message boards. You'll be part of a community of hundreds of practitioners all focused on mastering trauma treatment for kids, providing valuable opportunities to share insight and experiences and to build your professional network. Complete your online CPD tests and earn up to 15.25 CPD Hours!